Inspired by Lara Croft's boots in the Tomb Raider movie. These have ski-hooks on the uppers and eyelets for the laces on the lower part. High quality and comfortable boots are available in both real and synthetic leathers. 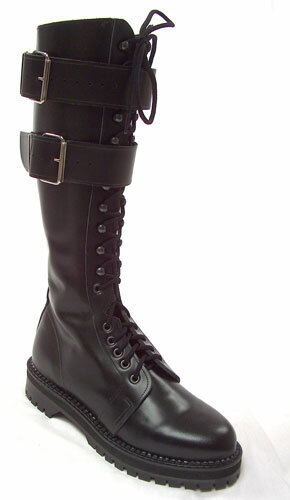 These boots are not identical to those used in the movie, but we sell the REAL ones too (FW111). Available in 100% REAL LEATHER or 100% VEGAN LEATHER options. Our VEGAN boots are made from 100% animal-free materials..